Right Click the image to save it to your computer. 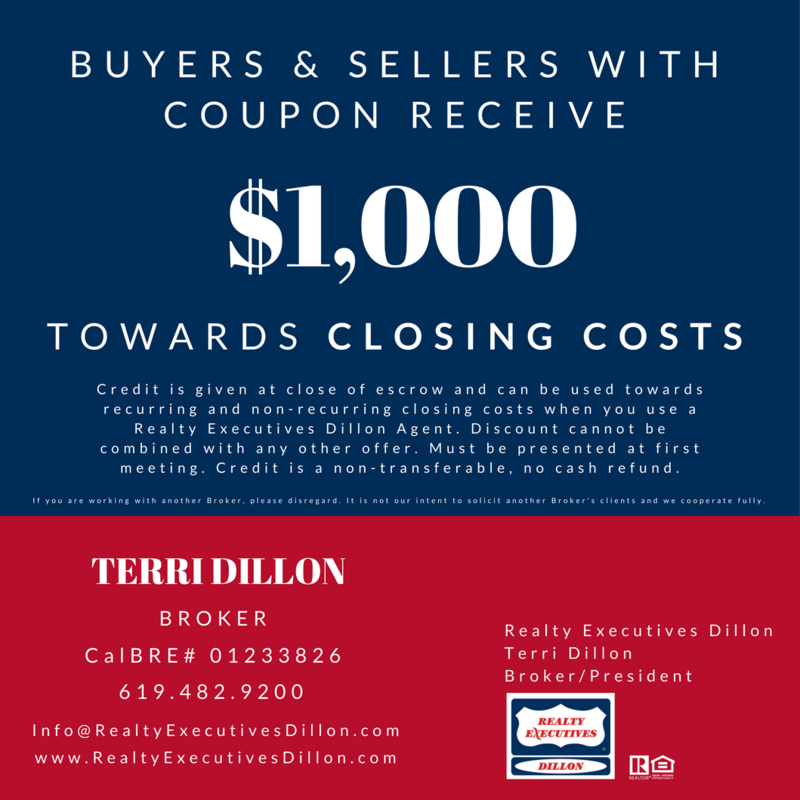 Bring this in to any Realty Executives Dillon Office to use. Coupon must be present when you enter into a contract. You will receive $1,000 Credit Back upon the Close Of Escrow.